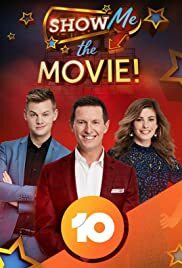 Comedic Aussie game show hosted by Rove McManus where two teams led by the show's regular team captains, Joel Creasey and Jane Harber, guess film trivia. In prerecorded segments, celebrity guests also pop in for a cameo to ask a question. Not entertaining. Not funny. For children maybe? These talent less talking heads keep getting chance after chance on Australian TV. Rove McManus is a "look at me look at me" never been as are the team captains. The alleged humor is child like, and unfunny but that doesn't stop the cast laughing uproariously at their own "jokes". Another pile of rubbish on the giant garbage dump called free to air Australian TV.